Italian is regarded as one of the most beautiful of the world’s languages, so why not come to Cortona, a stunning Etruscan town, for a holiday and learn Italian at the same time! Polymnia is an Italian language school in Cortona, which is in the heart of Tuscany, half way between Florence and Siena. 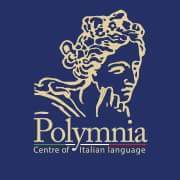 Since 1999, Polymnia has offered Italian language courses and culteral courses such as art history, wine, literature, history and Italian for special purposes. The school is open all year round, both for group and individual lessons and our teachers are all mother-tongue speakers specializing in the teaching of Italian as a second language. The students benefit from learning Italian in a real life situation thanks to our Italian courses which are available for beginners and experienced speakers alike. Thanks to the small classes and the option of one to one tuition, this will ensure swift progress. Additional cultural activities include: Italian cooking, wine and olive oil tasting, ceramic courses plus lectures on the Etruscans and much more. The group courses consist of 4 hours (60 minutes each), Monday to Friday 20 hours per week. Schedule: 9:00am - 11:00am, break, 11:30am - 1:00pm. The courses start after an entrance test (written and grammar test and short interview, 8:45-10). For the beginners there isn’t any entrance test so the lesson starts right away. At the end of each course there is an goodbye aperitif. STANDARD COURSES (personalized) -NEW OF 2017/2018!! !A very basic course for beginner or for other levels, but reserved only for one person, 2 hours per day, every day. In this course the students decide with the personal teacher a personal program. More than 4 weeks , please mail us. STANDARD COURSESStandard courses are for those who wish to learn Italian in the mornings with other students in small groups. They are divided into six levels, from beginner to advanced, and combine study of the language with in-depth studies of culture and current affairs (the degree of complexity being determined by the level of the course). INTENSIVE COURSESThe intensive courses are a combination of the standard course plus one or two hours of private lessons in the afternoon. The courses are designed for those who wish to reinforce the knowledge of grammatical structure, engage in an in-depth study of a specific aspect of the culture or current affairs, or work individually on conversation, listening or reading comprehension, or writing. PRIVATE LESSONSPrivate lessons are for those students who are looking for a custom program that meets their individual needs, not every day. CONVERSATION AT LUNCHTIME We're offering individual, one-week (5 days) courses for those who prefer to learn in a more relaxed way, taking their lessons over lunch at a restaurant with their teacher. SPECIAL COURSES FOR STUDENTS IN THREE DAYSThese courses are structured for students who want to study Italian in an alternative way.